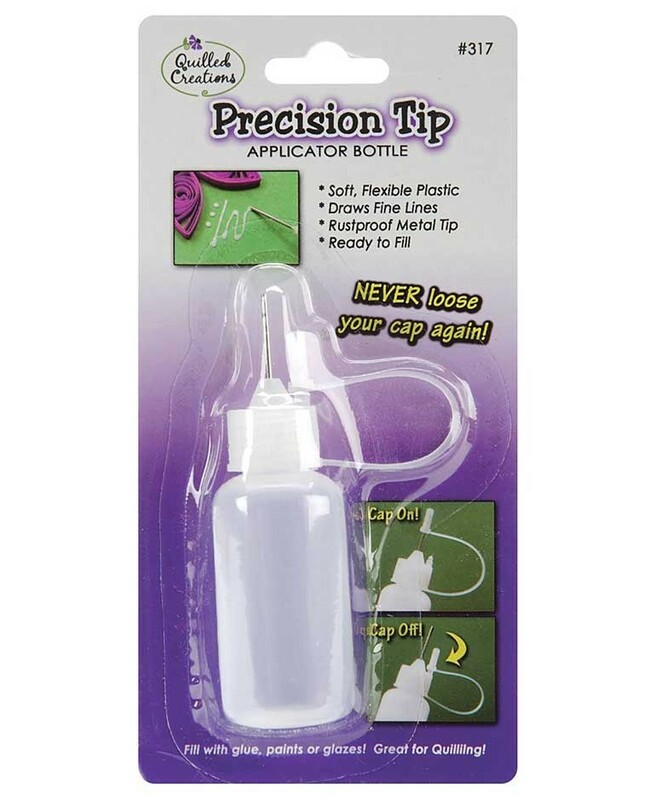 If you're looking for the perfect applicator for projects that require tiny drops or fine lines of glue, this is it! The .5 oz. 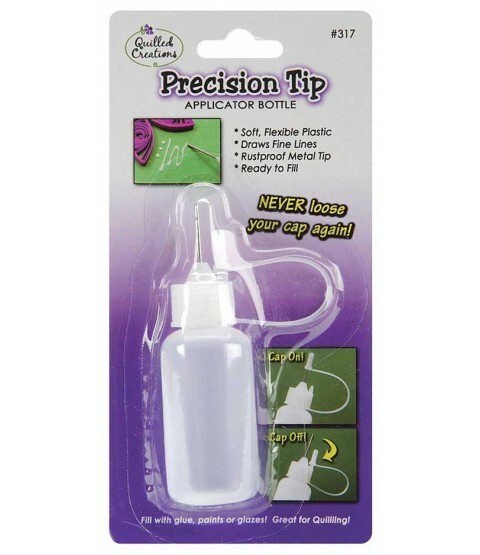 bottle is soft and flexible, has a rustproof metal tip and includes an attached cap. Manufactured by Quilled Creations. Bottle comes empty so you can fill it with your own favorite glue. We especially like Scotch Quick-Dry Tacky Adhesive (sold separately). Package contains one empty applicator bottle.